The French Prime Minister, Manuel Valls, has sparked controversy for pointing out that an emblem of the French republic, Marianne, is commonly depicted with bare breasts, during a row over whether or not the burkini should be banned. 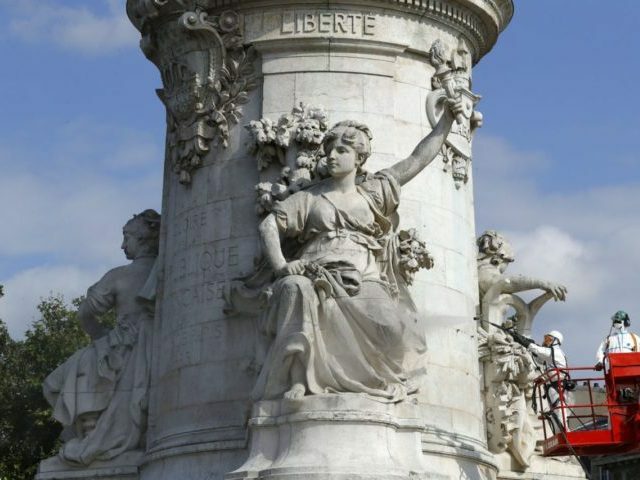 Speaking at a socialist rally on Monday night, Mr. Valls invoked the image of Marianne, a depiction of the Goddess of Liberty and significant republican symbol, as an argument in favour of the burkini ban, the Independent has reported. “Marianne has a naked breast because she is feeding the people! She is not veiled, because she is free! That is the republic!” he told the audience. Although Mr. Valls clearly meant to draw parallels with the conservative all-in-one burkini garment, which covers women from head to ankle and is seen by many as a symbol of Islamic oppression of women, the Prime Minister has been widely mocked for his statement. Ms. Larrere asserted that Marianne’s bare-breasted depiction was “simply an ‘artistic code’” which had nothing to do with femininity. The former Green party minister Cécile Duflot meanwhile drew attention to the fact that Marianne is often shown wearing a Phrygian cap – a felt hat which symbolised the revolution – and said that Mr. Valls’ comment was more indicative of the lamentable view of women held by some male politicians. However, Mr. Valls may be accurate in his assessment that the burkini does not reflect French values. A recent poll found that fully 64 per cent of French people disapproved of the garment, against just six per cent who were in favour of it. Controversy over the burkini is raging in the country following its being banned in a number of towns over the last few weeks. Cannes and Villeneuve-Loubet were the first two cities to ban the burkini on the grounds that it contravened French secularism. The mayor of Sisco, on the French Mediterranean island of Corsica, followed suit shortly after, following a riot on a Corsican beach provoked by Muslims who attempted to cordon off part of the beach for Muslim-only use. But France’s highest administrative court, the Conseil d’Etat, threw the country into turmoil on Friday when it ruled that banning burkinis was a contravention of civil liberties.